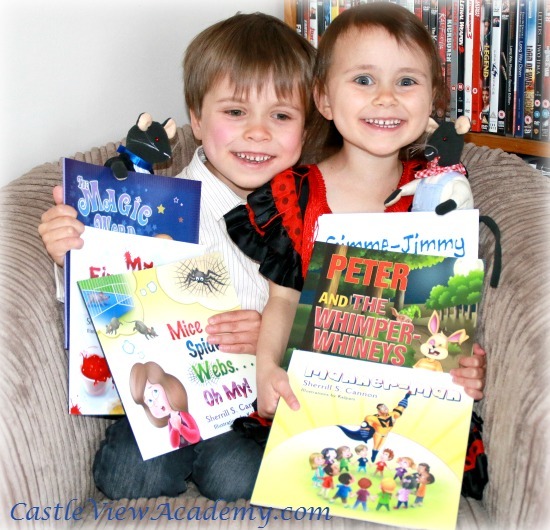 Home » Books » Book Activities » Mice & Spiders & Webs…Oh My! Oh wow! 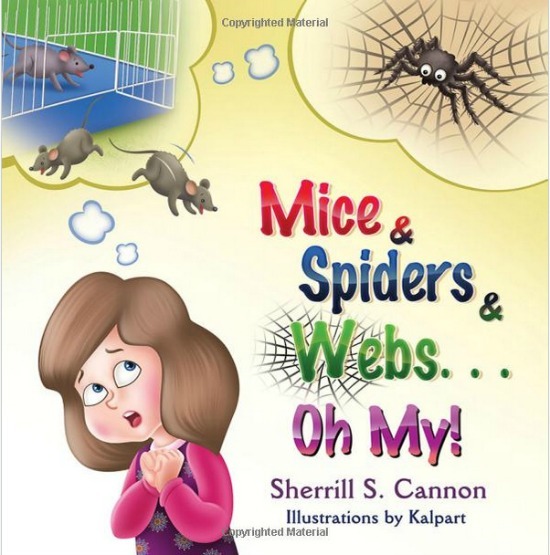 Mice & Spiders & Webs…Oh My! is not about what you think it’s about! This newest book release by Sherrill S. Cannon is fantastic! And for many reasons it is now our favourite! I was sneaky with this book – Sherrill had let me know that she was sending a copy, but I didn’t tell the children. It arrived here earlier than expected, with perfect timing so that my Mom and Dad could listen to it as well before they flew back to Canada the next morning. The children had already introduced their grandparents to Sherrill’s 6 previous books during their visit. 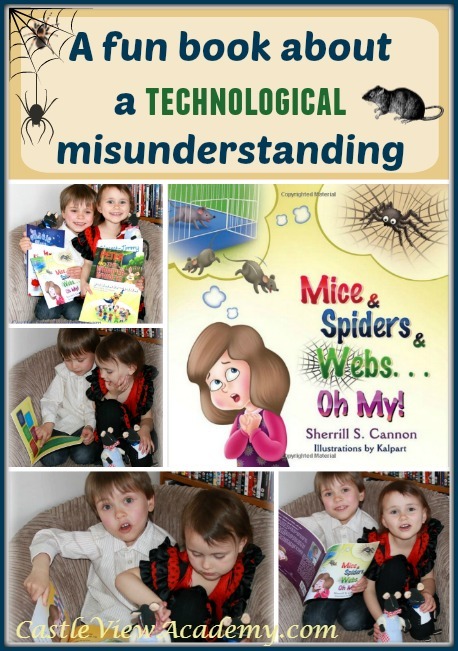 Mice & Spiders & Webs…Oh My! is a story about a misunderstanding that Rosemary has that causes her to not want to go to school on Monday because she believes the class will be getting new pets of mice and spiders – but only for the girls! Now, those are strange pets indeed, and isn’t it strange that only the girls will be involved, that’s not at all in character with her inclusive teacher! Rosemary’s mom is determined to get to the bottom of this situation that is causing her daughter such stress. On Monday morning, Rosemary goes with her mom to meet Ms Eddy, only to find out that Rosemary has misuderstood, and that in fact, the classroom now has new computers with ‘mice’, and they will learn how to surf the ‘web.’ What about the part about only the girls – no it wasn’t ‘female’ that Rosemary heard, but ’email’! “But what of the spiders?” asked Rosie with dread. “I don’t think you listened to all that I said. In writing our news on the web’s new school page. This book helps children to learn that they should always listen carefully and understand what they are being told. That they should ask for clarification instead of running on assumptions. You never know when you could miss out on something great if you don’t fully understand. We’ve run into a few issues like this lately in our home. Some can be quite funny, but at other times misunderstandings can cause some trouble. I like Sherrill’s unique take on this topic! Tristan has now graduated from just listening to Sherrill’s books to reading them to others now. The rhymes really help Kallista remember the story and they give extra emphasis for Tristan. He’s very good at his inflections when he reads. He really gets into his storytelling! Here’s a small excerpt from the book, with a special message to Sherrill from Tristan and Kallista at the end. Kalpart has once again done the illustrations for Sherrill, which gives her books a solidarity. 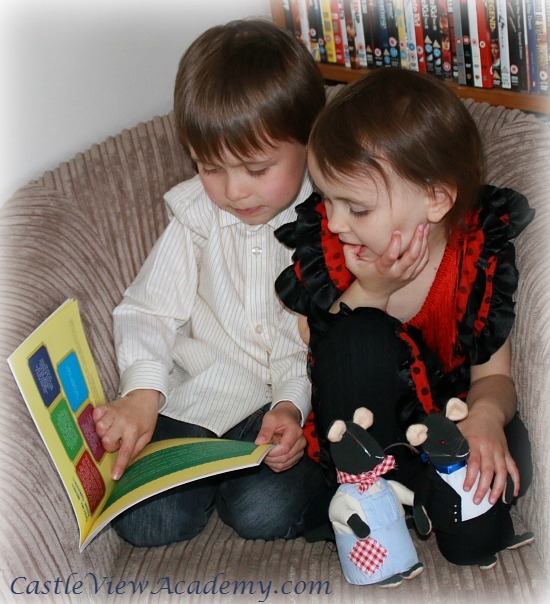 At the back of the book there are five activities for children to do – looking for the covers of her previous books hiding in the illustrations, finding all of the computer terminology used, as well as a few discussion questions for children to think about. This is a very fun book for both children and adults. 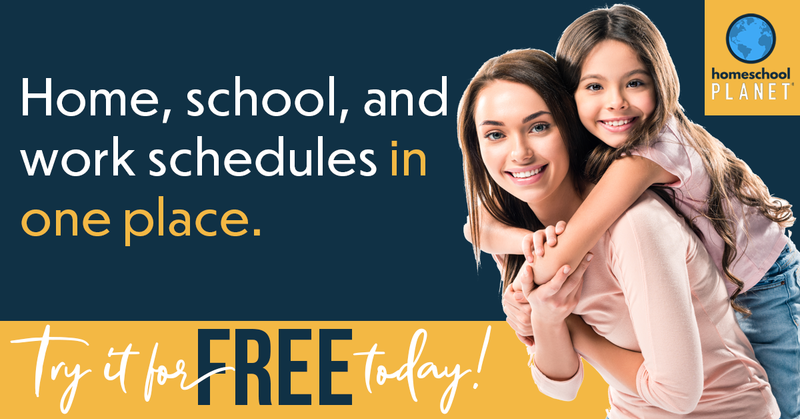 It carries an important message, but at the same time introduces computer terminology that perhaps not every child will be familiar with. Or maybe the technical phrases are for the parents? These days the children often seem to pick up and learn quicker than us adults! There is one extra very special reason that Tristan and Kallista love this book so much – while reading the Acknowledgements and Thanks page at the back of the book, they found their names under a shout-out to Sherrill’s special kids and fans! You should have seen the looks of surprise on their little faces! They were actually speechless!! If you like what you see, you can find out more about Sherrill on her webpage, follow her on Facebook, or learn more about raising money for the JM Foundation. 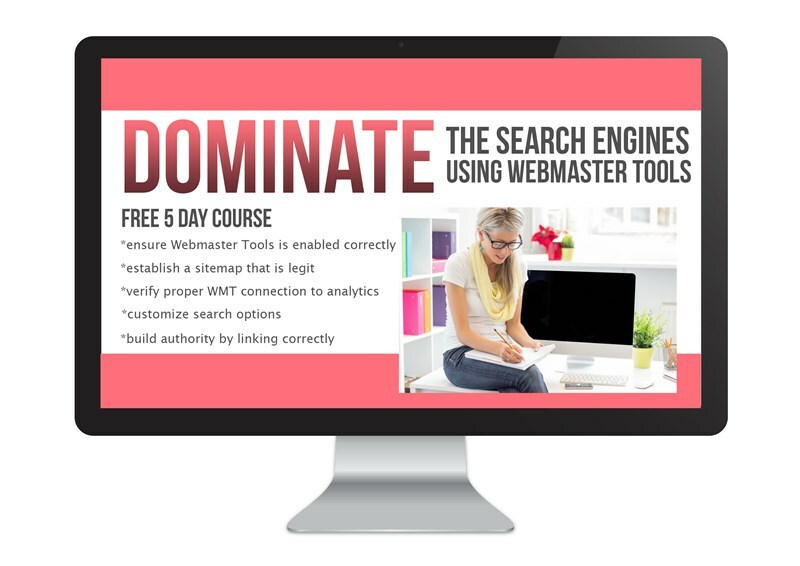 Mice & Spiders & Webs…Oh My! is available on Amazon: and also Barnes & Noble: as well as on her publishers site. This looks so cute and what a good idea for teaching kids about the internet! Thank you for sharing. It is very cute, and no wonder some people have trouble getting the lingo right! It’s a great book! And yes, we we have great fans in our home – both small and not so small! What a clever, clever book! Thanks for linking up at Booknificent Thursday this week! I don’t know how Sherrill comes up with such great and unique themes! She’s brilliant! 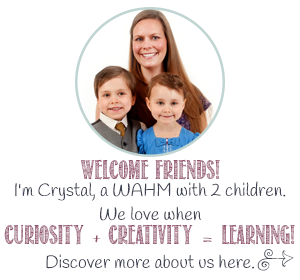 Stopping by from the blog hop to leave some comment love. This sounds like a super fun book. Thanks for sharing! I have read all of her books. She is a real jewel! Fantastic! Which is your favourite? I’m a big fan of Sherrill’s lessons and the way she weaves them into her books.